Random thoughts pop into my head. My dear aunts, Esther and Sylvia Katz of blessed memory. Both lived to be 92 and passed away two years apart. They smoked from the age of 14 until the age of 87 or so...when the doctor finally ordered them to stop. He was correct, at least one of the passed away from a smoke related disease, at the age of 92. I made a point of visiting my dear aunts on a regular basis. Even when leaving in Israel I would fly to the USA for the purpose of visiting them. My dear aunts, how they suffered. I remember the coughing, the difficulty breathing, and all that is related to old age. But I made them smile, and laugh, and life was good, for a moment. But I also remember the perpetual complaints against the doctors, and God. They would say, What is this practicing medicine, can't they finally get it right! And, If they could only feel my pain, if they were going through what I am going through, they would make a little more effort. When we are in pain we cry out. And sometimes it does not need to make any sense at all. They were angry at God one minute and saying He does not exist the next. Does not God feel the pain of old people? They warned me not to smoke and not to grow old alone. Oh well. My dear sweet aunts. The apartment was always too warm, but I treasure every moment I spent with them. So today I was thinking of Aunt Esther and Aunt Sylvia, of blessed memory and I heard it again...If they could only hear my pain. And I understood the lesson here. When my house was broken into a few years ago on the Holy Sabbath, and all my hard earned money was stolen along with priceless personal items, I felt the pain and I took in the lesson. When the full impact of what had just happened was absorbed I began my healing at once. First I accepted the "judgment", so it was decreed and so I must accept it. Next, the pain. If I feel so much pain over the loss of physical objects and a such a feeling of violation over my home and privacy being invaded, imagine what real victims of violent crime feel. I took that moment and tried to imagine what if felt like to be held at gun point, at knife point, to be raped. I imagine and as my aunts would say, I felt the pain of the victims. At that moment I vowed to make this home invasion/robbery an opportunity for growth. I vowed to feel the pain of others and act as if it is my own personal pain. I vowed to myself that I view each student as my own family and not as a client or customer. To my aunts, Esther and Sylvia Katz, who now dwell in the beyond, I promise to feel the pain of others as my own. 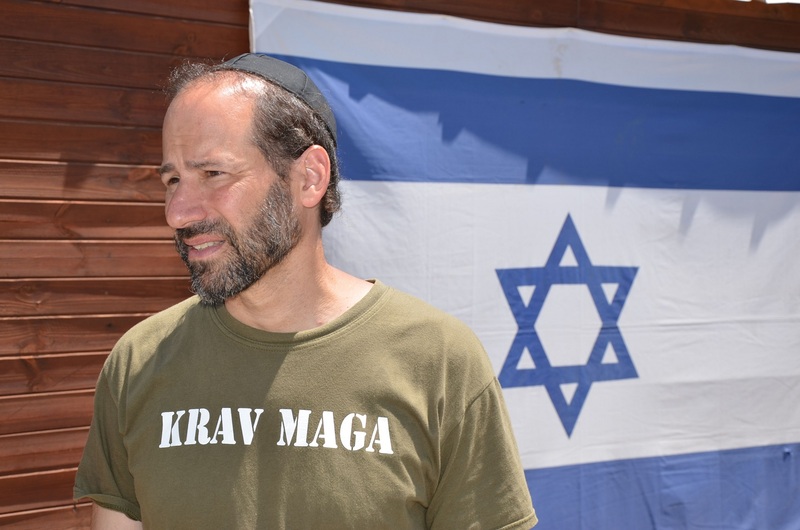 If you wish to learn Krav Maga please contact us.